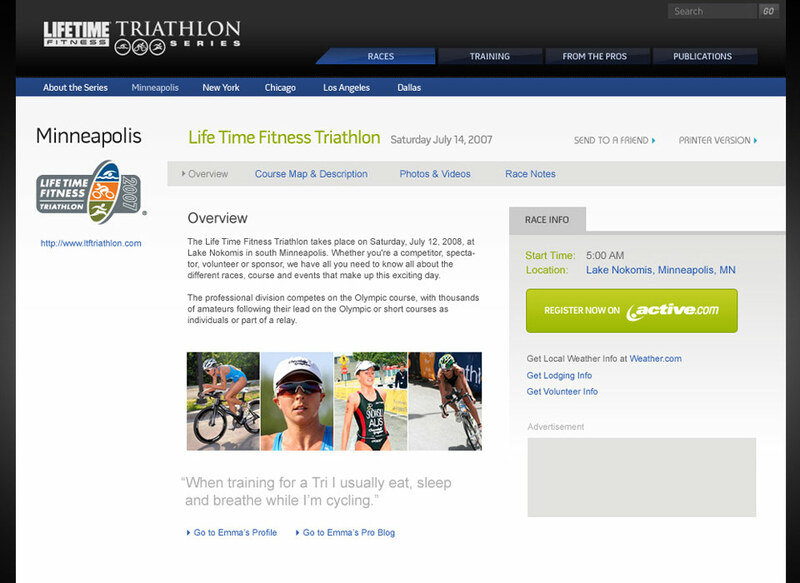 Life Time Fitness is based in Minnesota and has 105 health centers across the US. 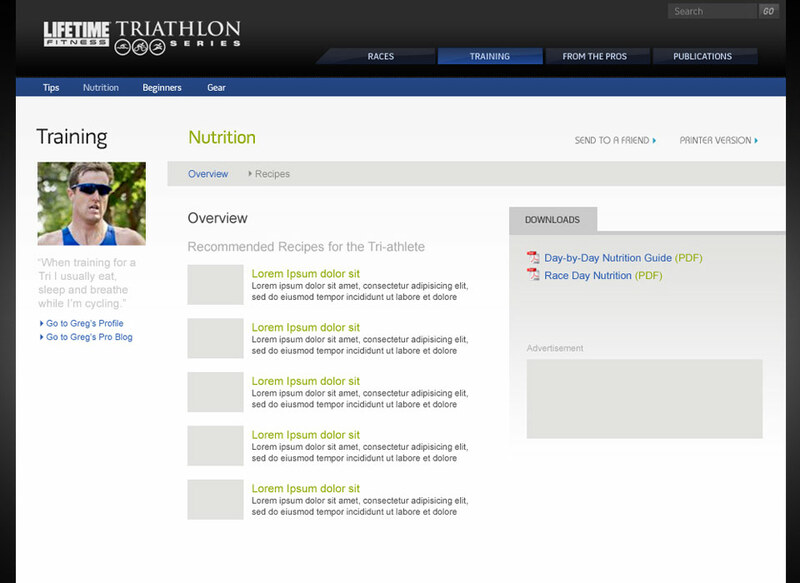 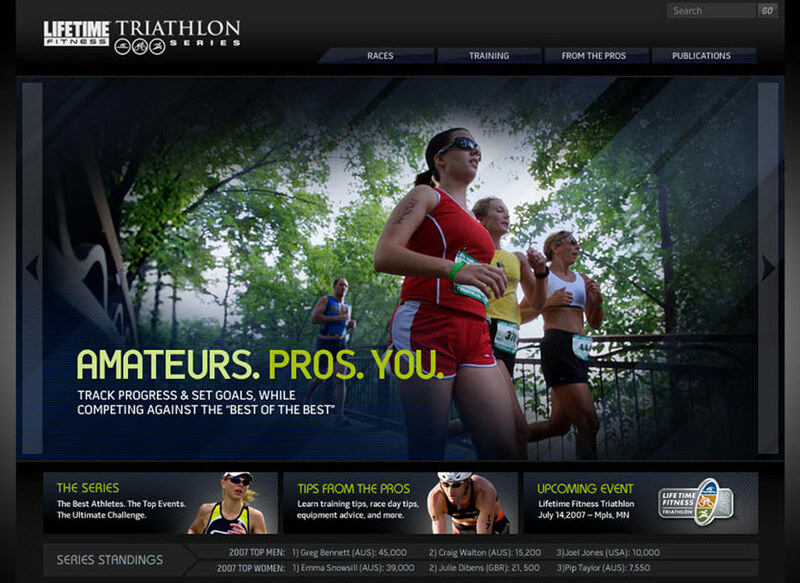 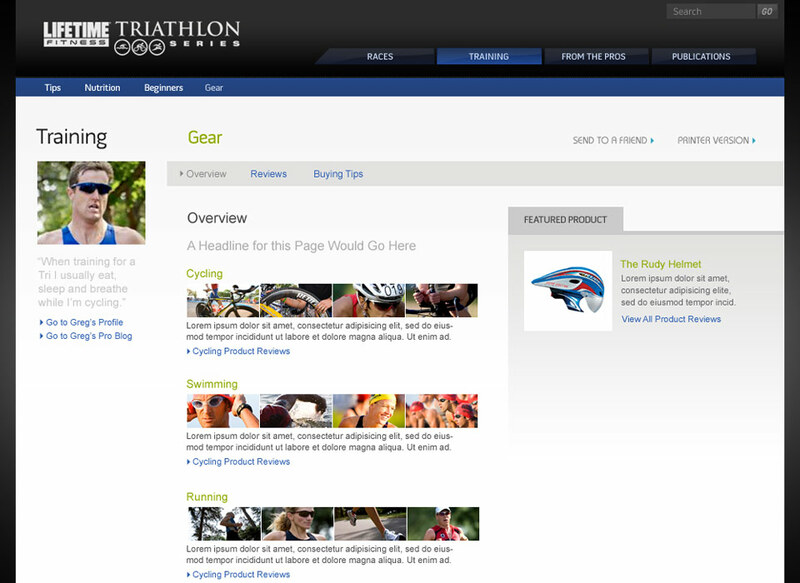 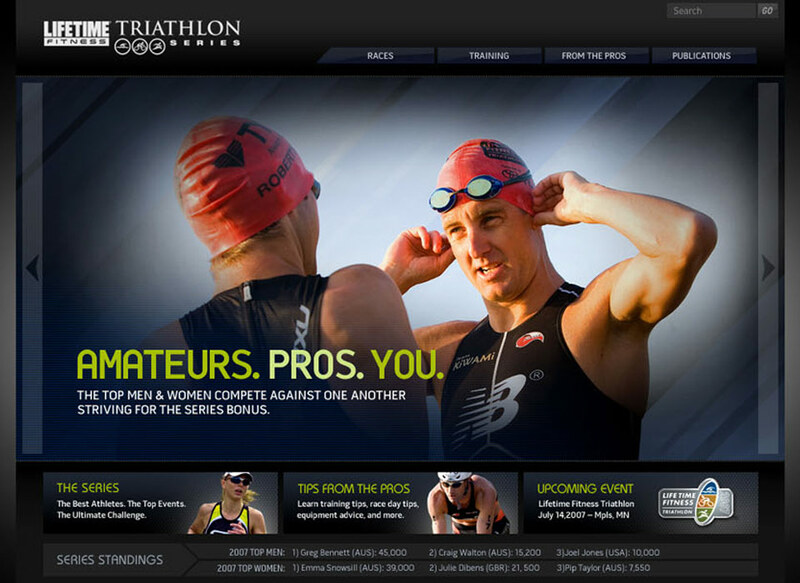 We partnered with Life Time Fitness on several websites including this Triathlon website. 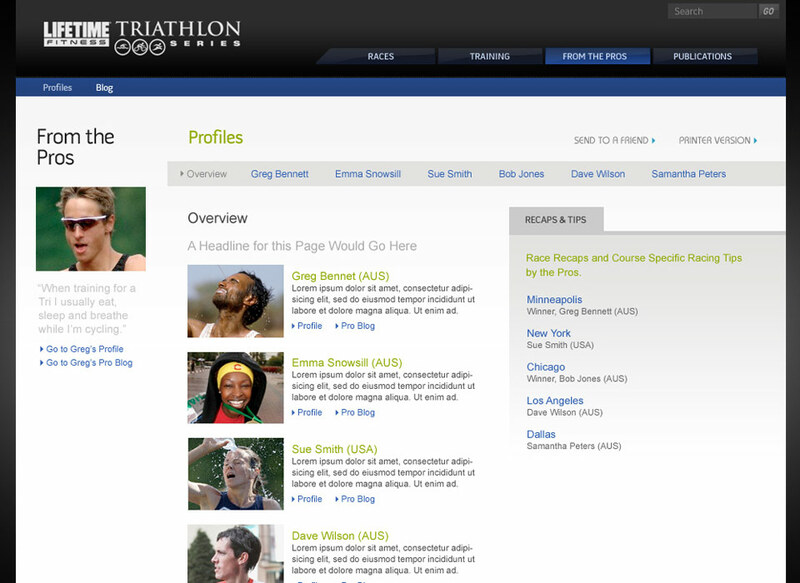 The site enables athletes to register online, review the course, and allows fans to track race action real-time.